This is a fabulous gift idea for a first birthday, christening or baby gift. A recent charge of ours absolutely loves her Jellycat monkey and now thanks to Christmas has the mokey in every size! In 2016 Jellycat published a beautiful book to match the monkey, thanks to author Louise Tate, I Know a Monkey. Filled with beautiful illustrations of a long list of things that monkey can do, all in rhyme, the book positively encourages children to let their imaginations run wild when playing with their beloved toy. 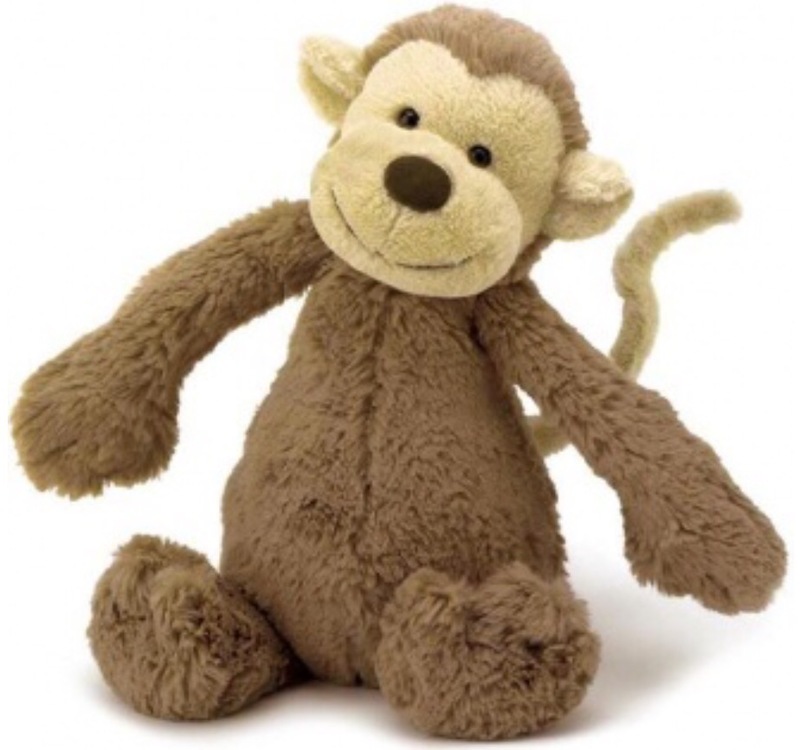 Full of fantastic points that children can easily relate to and perhaps already love doing with their monkey, a bit like this particular charge. Lots of fun to read, and many points of other conversation to be had too. What a lovely gift to buy for a young child. I wonder if Jellycat will bring out anymore paired books with their other wonderful soft toys?! Previous People & Products | Amby Hammock, a review.